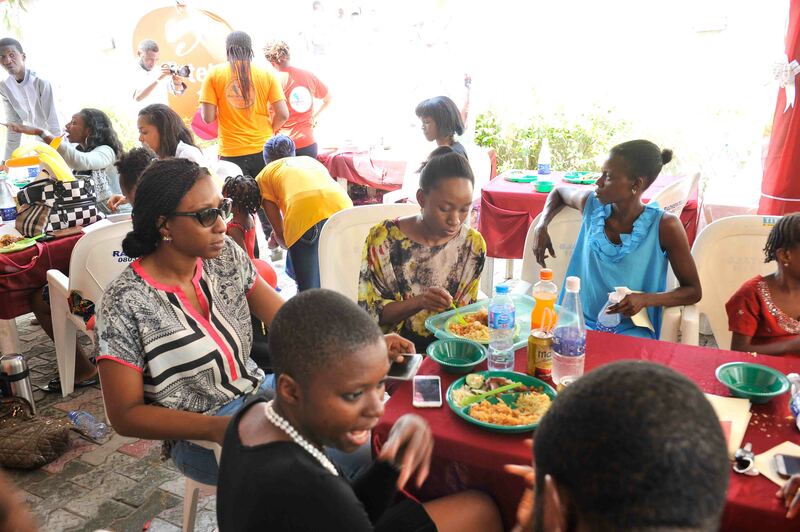 On the 21st of February, the celebration of love continued for us at the FLA Home. We hosted our kids and their families, our friends and sponsors, for a feast tagged “Valentine’s Brunch with the FLA Kids”. 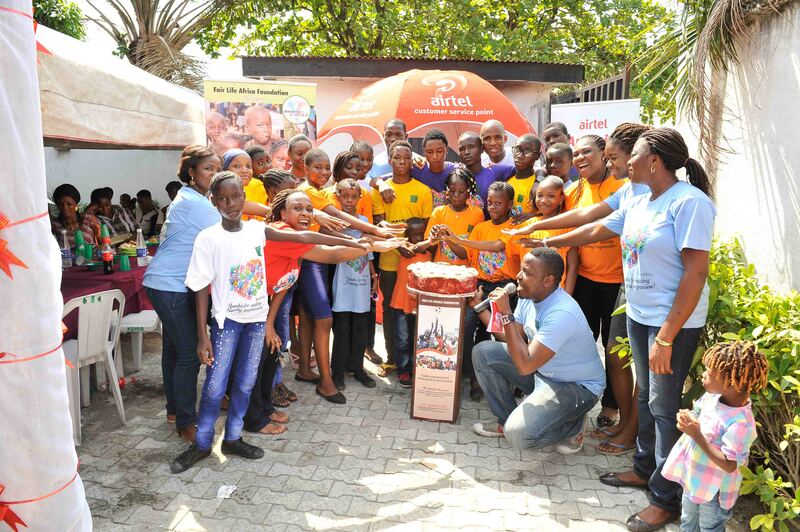 It was proudly sponsored by Standard Alliance Insurance and Airtel Nigeria, who were well represented with their stand and banners at the event. The MD of Standard Alliance Group, Mrs Orerhime Emerhor-Iwuagwu (aka Rhe), was present, and brought the delicious cake we all enjoyed! Prior to the day, we had informed the newly adopted kids, of the Disadvantage to Advantage (D2A!) 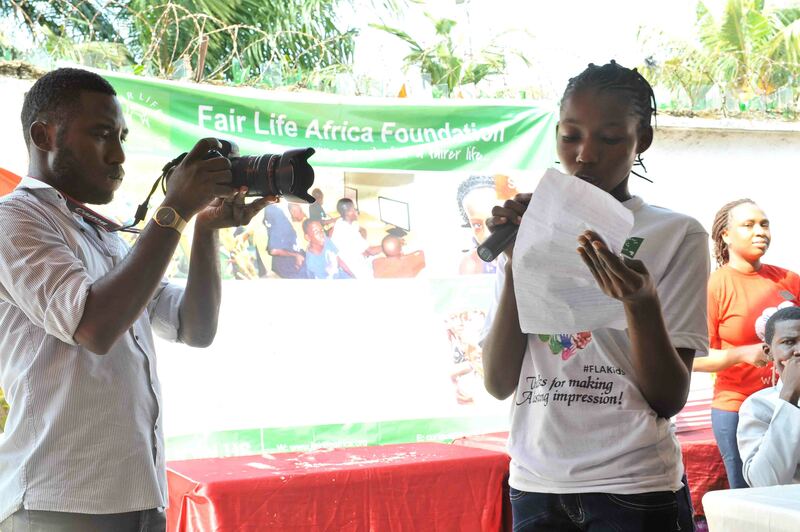 Initiative, of our plans and enlisted them to participate in the essay competition themed: “The Future I Dream Of”. The essays were submitted to Nishola and Ifeoma, our field workers on the 10th of February, as they visited the kids in their schools. The FLA Team went through all the essays considering the elements of content, grammatical correctness, arrangement and presentation and selected the winning essays for both the Primary and Secondary levels. 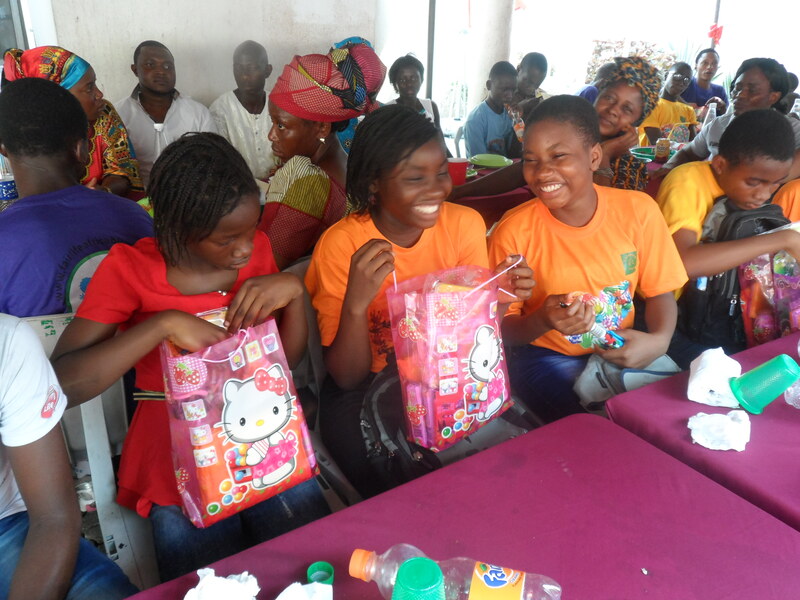 The winners were to be awarded on the day of the Valentine’s Brunch. We also extended special invites to the reconciled boys from the CCC Initiative. In the morning of the event day, the ladies of the FLA Team worked tirelessly at different locations preparing the tasteful meals for the event. 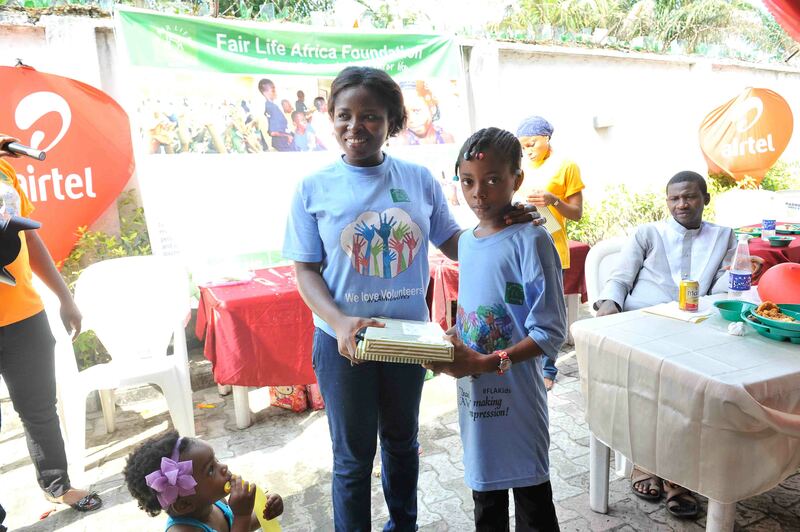 Ifeoma and Nishola were at the FLA Home preparing the pasta salad, chicken and fried plantain (dodo), while Ufuoma prepared the fried rice from her home and Njideka made the jollof rice, also from her home. 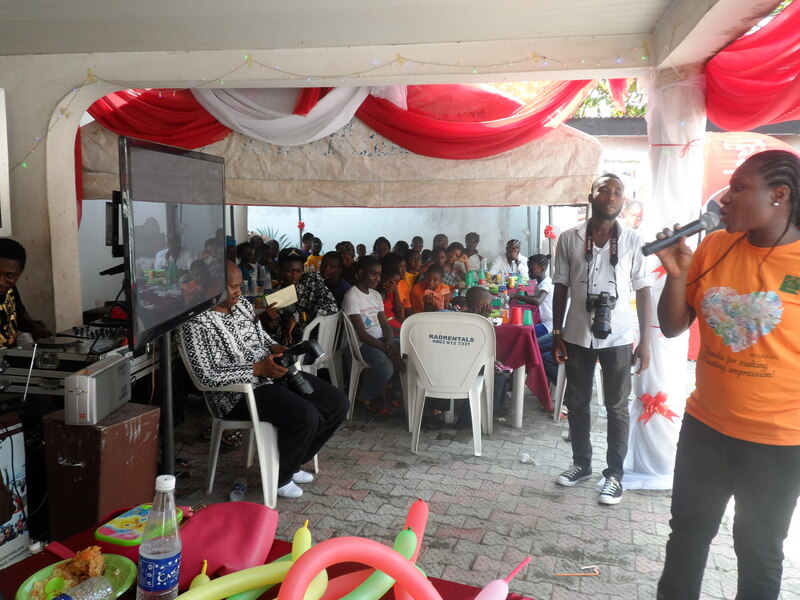 The gentlemen, Timothy and Emeke, made the arrangements for the canopies, chairs and the drinks for the day, and enlisted the support of Debbie Nwosu, Ladun Ogunbanjo and their friends to decorate the venue. Our volunteers also came in handy when it came to getting everyone seated and serving the meals. At the slated time, 12 noon, the venue was already alive with music, the FLA KIds and their families, having arrived quite early from their different homes were seated, getting acquainted with each other and excitedly waiting for the event to take off properly. 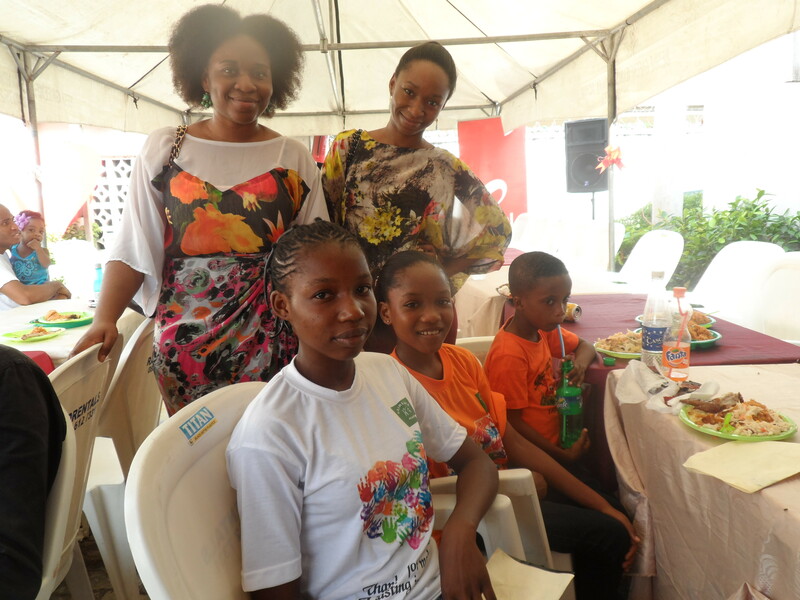 Soon the CEO, Mrs Ufuoma E-Ashogbon, welcomed them all and handed the microphone to Njideka, who emceed the event. 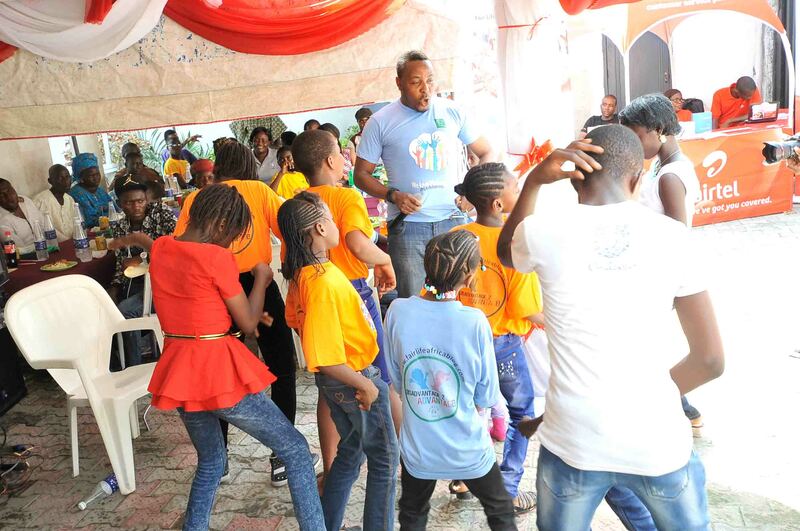 Toju, aka Mr Ashogbon, came along later and set the dance floor on fire with the kids. The parents of the kids were also given opportunities to ask questions about the programme and Ufuoma was happy to answer them all. One of the high points of the event was the inspirational performance by Tarrah, who was so generous to support us in that capacity, and delivered two soulful tunes accompanied by her guitar. 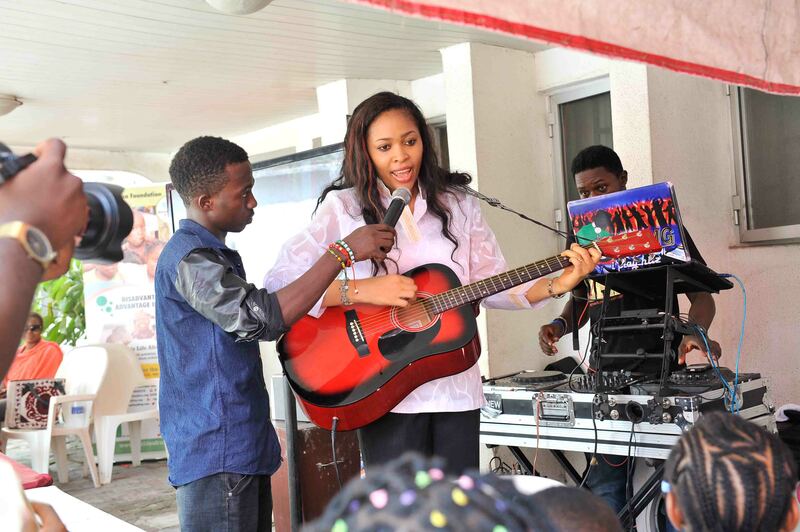 Precious picked the prize for the dance competition anchored by Toju, and got an Airtel recharge card for her effort. 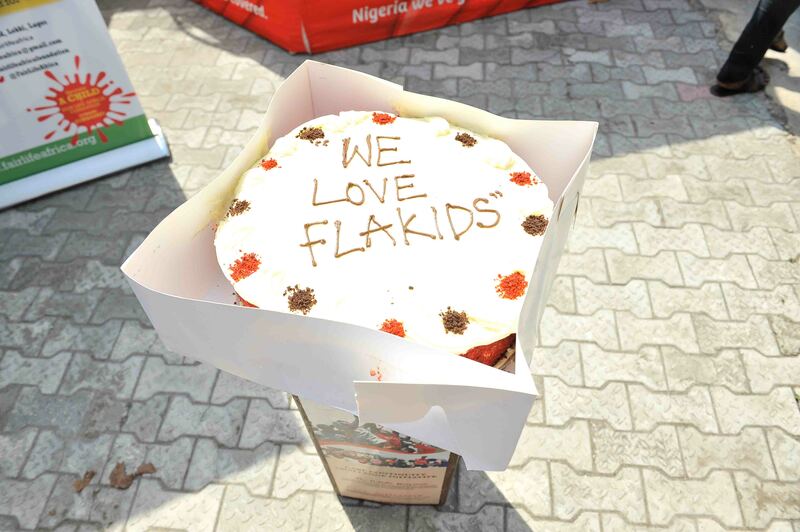 The FLA Kids and the FLA Team gathered around for a rare photo opportunity with the humongous yummy cake donated by Rhe. It did taste like it was truly made with and for love; a delicious red velvet and chocolate combo. The food and drinks went round as the event progressed and there was enough and more for everyone who attended. Then it was time for the announcement of the winning essays. Naomi and Caroline won the essays for the Primary and Secondary levels respectively and they were awesomely rewarded. The other D2A! 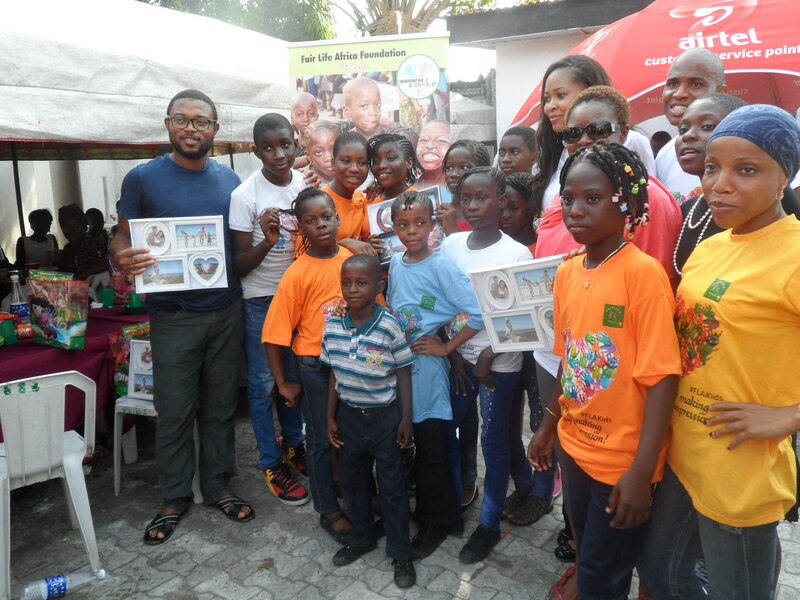 Kids who participated were not left out, as they were also given consolation prizes. 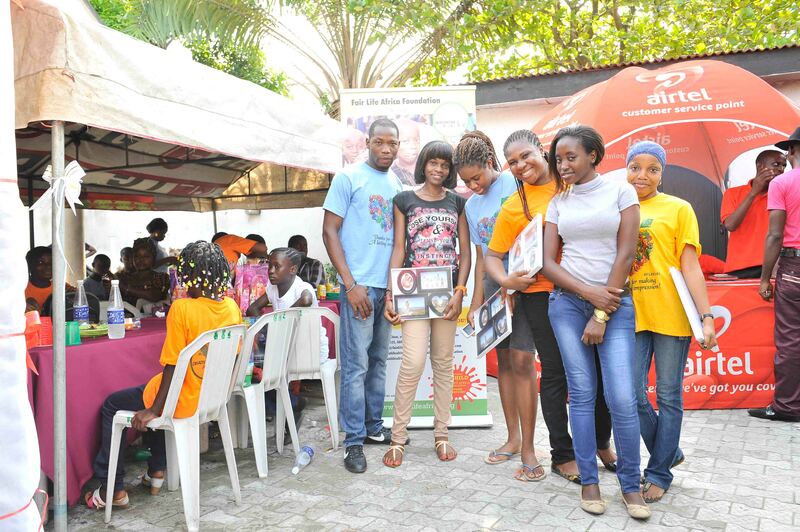 At the end, everyone who attended was part of the special photo sessions and went home with beautiful photo frames to keep the memories of the eventful day, many thanks to our amiable photographer friend and volunteer, Ese Atiyota. The children and their families also went home with gift packs and food provisions, courtesy of Anu Eso & Co, our dedicated supporters, who had donated a mountain load earlier in the month. It was a very successful event and a laudable team effort by everyone who was part of the planning and execution. Our gratitude goes to our friends and supporters who came to share in the occasion with us, and those who gave towards it, even though they couldn’t make it. Thanks for always having our backs. Now and always, #EatGiveLove!